A range of Korean regional cuisine will be available at K-Food Plaza in Festival Park, located near PyeongChang Olympic Plaza, during the 2018 PyeongChang Winter Olympics. K-Food Plaza opened Saturday and will operate through Feb. 25. It is set to reopen during the Paralympic Games, from March 8-18. 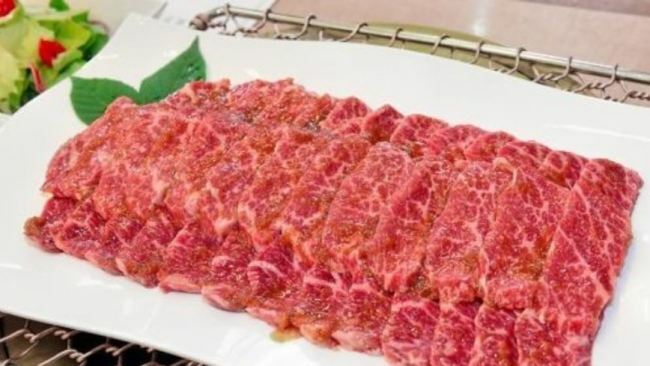 As of Sunday, regional specialties from Wonju and seafood from Korea’s neighboring seas are included in the list of food to be presented at K-Food Plaza. Visitors can try traditional dishes of Wonju including “peach bulgogi,” which is Korean beef seasoned with peaches from Chiak, a mountain located on the borders of Wonju. The city of Wonju is located in the southwest of Gangwon Province, the host region of the 2018 Winter Olympics. The Ministry of Oceans and Fisheries said Sunday that a wealth of seafood dishes will be available at K-Food Plaza. Along with dishes cooked with abalone, oyster and dried laver, organizers plan to provide fusion cuisine such as halibut sushi and gambas with red crab. Meanwhile, international cuisines are being prepared for visitors to the Global Market Place in Festival Park during the Winter Olympic period. Chefs from various countries such as France, Italy, Spain, Vietnam, China and Mexico are to showcase their unique menus to visitors.